Description: From 3 to 8 inches tall, Leaves are glossy and oval crowded toward the tip of the stem and staying green through the winter months. 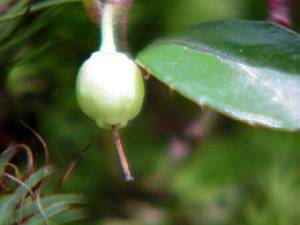 Flowers are white bells, fruit is a bright red berry and stays on the plant until spring. 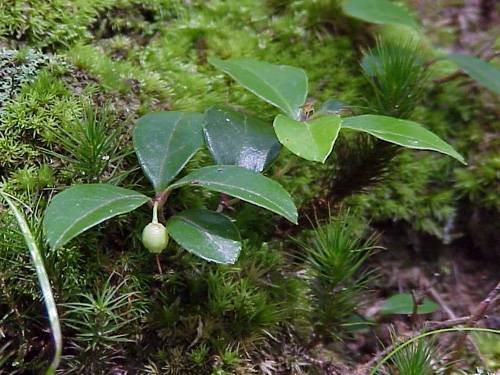 This plant is the source of oil of wintergreen and has this odor when crushed. Leaves are used in making tea. Location: Dry or moist wooded areas.